The humble workhorse of fashion jewelry – stud earrings are a classic piece sure to be the cornerstone of your jewelry collection. 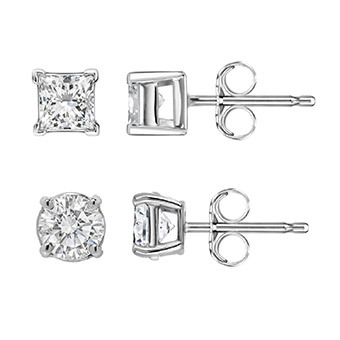 Versatile and elegant, with our diamond stud earrings, we like to let the stone speak for itself. Available in a range of sizes and custom orders, our understated line is anything but. 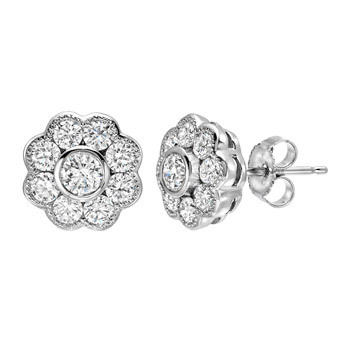 For a timeless piece of fashion that never goes out of style, stud earrings are great. Whether your prefer 4-prong studs or Martini setting, push back or screw back – Shah Jewel is he place to get your stud earrings! Our buyers in Mumbai, carefully select perfectly matched diamonds in any size, or quality based on your budget. They say the devil is in the details and that couldn’t be more true when it comes to our line of fashion earrings. Whether you’re buying from our line or creating a piece with us, the manufacturing of the earring is just as much an art as its design. We work meticulously to make sure our earrings are big enough to catch every sparkle, while maintaining the structural integrity to stand out without painfully tugging on your ear lobe at the same time. Paired with a bangle or a necklace, earrings are an excellent way addition to create a stunning set, or timeless all on their own.